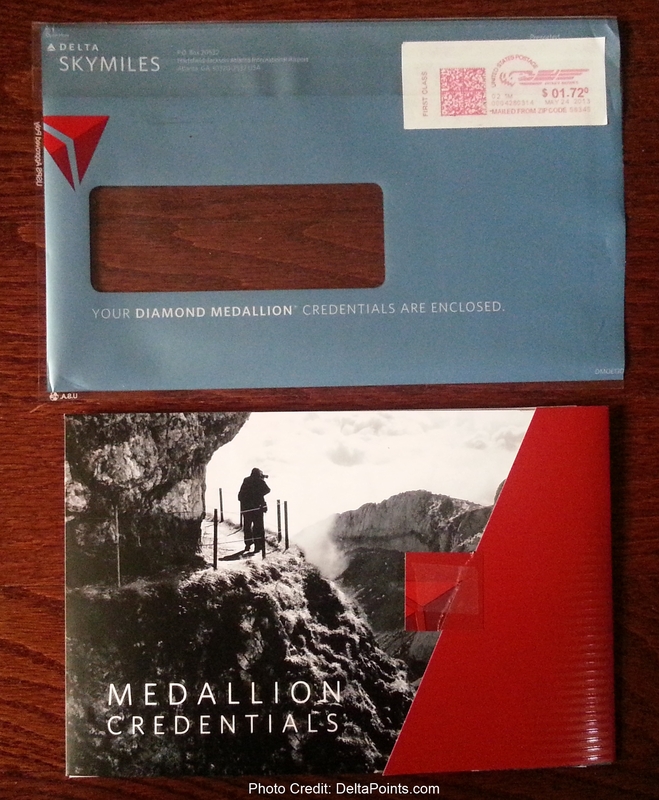 I have just about sifted through the mountain of mail that awaited me after a month in Sweden and toward the bottom of the stack was my shiny new Diamond Medallion credentials. That is it kids. Nothing more. Now I did get my Skyclub card separately (so I guess that counts). But my word; I remember when the GM kit came with 4 HOOU’s and the PM came with 8. My JWD certs say they are worth 1000 points each and I have been told by FA’s this is much less than before. 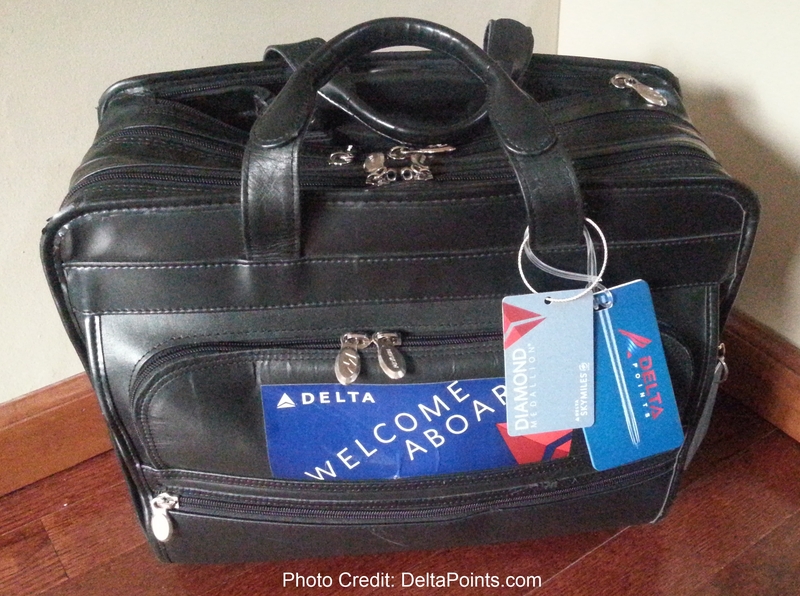 I wish Delta would give out 10 of these to us, but that is why I make my own anyway! I am also bummed that the “bar code” is gone from the back of the plastic card. If you ever have an issue, say with your phone for your boarding pass, you can just scan you medallion card bar code and out will pop your seat slip. It works – try it (well it did when the bar code was there on your Skymiles card 🙁 ). PS – I will be posting the grand prize medallion winner later today! I’m Diamond and love flying Delta. I reach Platinum on my trip home on Wednesday. Love reading your blog! @Steve W. – 🙂 Hey thanks fellow flyer who flys too much too (but in a good way). Wow 200k this year already in MQM, I am at 144k but should end my year at 200. I am sure you will be “double diamond” by that time. Just curious…what were your expectations? 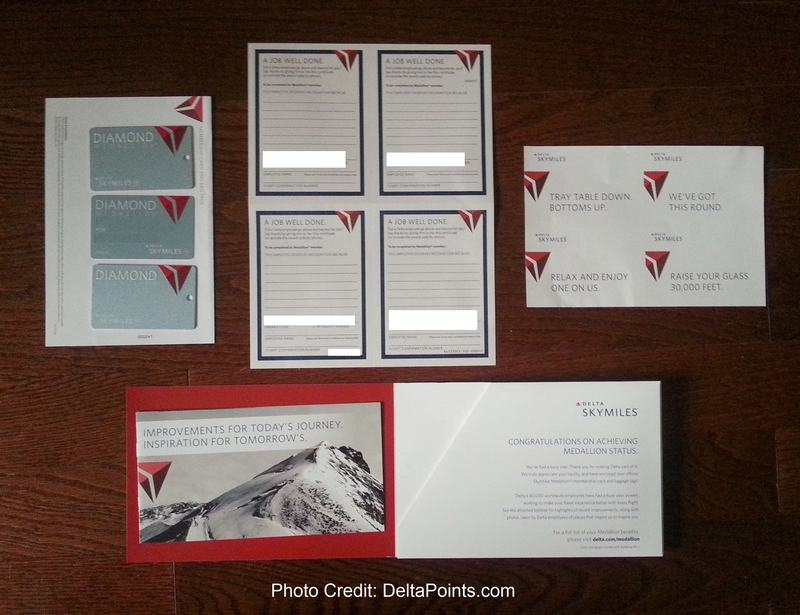 I’ve had the top status on Delta since 2002 (Platinum then Diamond) and I don’t recall any of the packages being particularly memorable. They change the envelope from year to year, sometimes it is plastic, other times it is cardboard or paper. I’ve also had top status on NW, CO, AA, and LH so I would say that the swag/packaging is similar to the competition. LH is a little nicer – they give you a half-inch high box that contains 2 red leather Senator luggage tags. They also send me Christmas and birthday cards (sometimes with a gift i.e. free in-flight wi-fi certificate or 20% fare discount coupon) which is a nice touch. When you have accumulated Million Miler status, DL will let you choose a nice piece of Hartmann luggage and your card will have “Million Miler” written on it. @Erik – was hoping for many more HOOU’s and JWD’s! It also would be nice if the DM card itself, kinda like the Chase Sapphire Preferred card, was metal too! Just expecting a bit more than a GM packet I guess. Thanks for your comment! Are there micro chips embedded in the Medallion cards? It seems pretty stupid not to have any means of ID on the card. BTW, I turn Diamond in 3 weeks. The “benefit” of commuting from Connecticut to Mississippi. @Chris – nope. The id cards are just “bling”. There is the std mag strip on the plastic card. Is it true that you can pick up the steel cables at the Skyclubs? @Tom – don’t know! Kool if you can. Any readers know? I believe they do keep a supply of those cables for your tags at the Sky Club. Think Diamond SWAG is bad? Try Gold. Three drink/snack tickets, two luggage tags and an ID card. Pretty lame for $12-15M in fares to get the 60M MQMs. I love how its now July and my 2013 Platinum kit (for which I qualified back in Dec-12) still hasn’t arrived. And that’s despite calling twice and asking for it to be sent. Rene, thanks for sharing. I’m curently at the Platinum level and hoping to be Diamond by end of year. Never reached the Diamond level before, so know I know how much (or how little) to expect. I really enjoy your blog, but haven’t been able to figure out two acronyms, SWAG and HOOU. Please help. 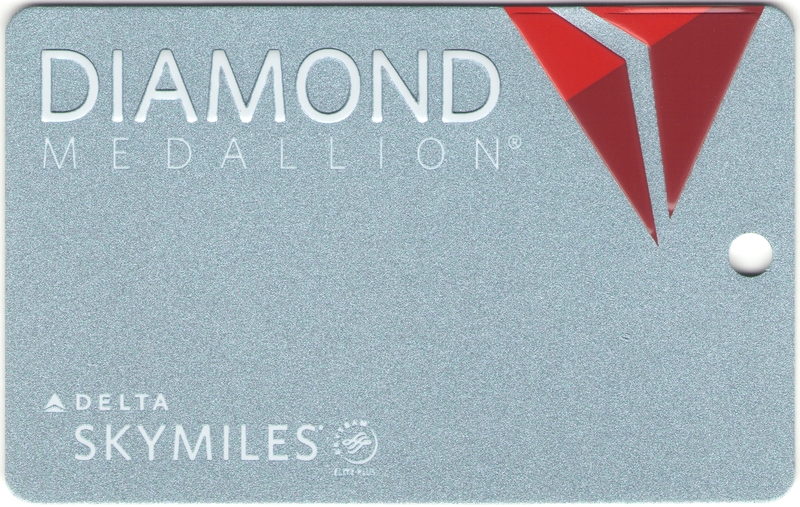 I agree that making it a metal card like the Sapphire Preferred would be cool and potentially that could help keep the card from wearing out (seems to me like my name, Skymiles #, etc. start to fade out by the end of Q3). One other suggested enhancement – it would be nice if I could upload a photo to DL and they could put it on the card. Then when entering the Sky Club, I can just hand them one card instead of spending extra time to fish out ID from my bag. @Erik – OOOOHHHHHH BRILLIANT! Just brilliant. I love this. I will ask DL about this. Rene, has Delta eliminated the Tiffany crystal gift? When I qualified in 2011 I got to chose from several varieties of crystal vases. Didn’t to much for me but my wife sure loved it! The kit does look a bit underwhelming. Oh well. Just made diamond status 10/1/2013. I must say thanks: I come late to the points “thing”, back in late 2012 when I became Gold but could have made Platinum if I started reading your blog sooner :). Your blog was the first I read and I am hooked. I followed your advice and your fellow Boarding Area bloggers and TPG and as stated above I made diamond! Now I have enough DL points to fly First/BE 4-5 times per year when I go on vacation with my better half. I basically recoup the cost of the mileage runs (6 long ones last year) and AMEX Reserve fee with the points I earned, plus I am finding the mileage runs quite enjoyable as I am often upgraded on one or both legs of my journey, especially when that journey is in BE. Case in point, I would never pay the $2700 per person for my wife and I to fly to one of my favorite places–HNL, OGG, LIH–in January. We only paid $20 (for my wife and I using points). Thanks again Rene and keep it up! 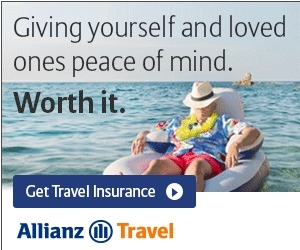 Suggestion: I have not gone on an international trip using points so more tips on this would be helpful. Question: I will have to do a few mileage runs to retain my diamond status for 2015/2016 in 2014. I am hearing a lot about JFK-SEA due to DL upgrading their equipment (Lie-Flat seats) and that the route does not have a lot of elites (better upgrade chances). What are your thoughts, any other suggestions? @Andre – the JFK run is very nice when you upgrade as it is more like a mini-INT flight. But it will be a hard upgrade to get as I think they will sell many of those seats. I try to route that way when I get a schedule change on my MRs 😉 and a huge contrats for making DM! heh thanks for the steel cable link, wasn’t sure how that worked!